Please join us for our Holiday Potluck and RSVP with dish to share to (904) 246-3583. I twill be a little bit a Greek overtone in food contributions. 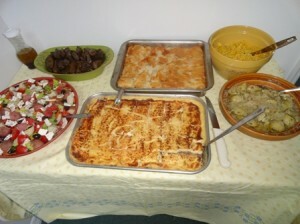 Bring an Ethnic dish that you know how to make quickly and we will indulge our taste senses. 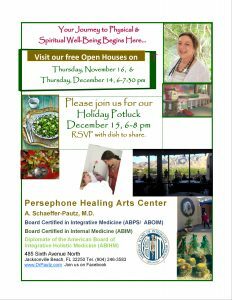 Event is to nurture our relationships with our patients, their families, and friends of Persephone. This is a good time to introduce a friend to Persephone that you wanted to introduce for a long time.